Do you need to do core conditioning workouts? These are much more than crunches which are done mainly for those six pack abs. Crunches are known to train just a single muscle of your core – what about conditioning the other different muscles which are an integral part of your core? These include the important pelvic floor muscles, gluteal muscles, and lower back muscles among others. With simple core conditioning exercises, you are able to train and tone all your core muscles. You are able to build a stronger and healthier core which will help you stay healthy. These exercises will help you in reducing the risks of injuries as well. Start by lying down on your back. You can lie comfortably on a mat or a flat bench. You can lift this bar off the rack and hold on to it just straight. Your arms shall be locked. This is your start position. Now, you need to slowly inhale and then bring the barbell down. You will do it in a controlled and slow manner, till it reaches the mid chest region. You need to stop for a while as you raise this barbell back and get back to the start position. You will exhale as you do this. Your main focus shall be on how you engage the chest muscles to move the bar. You need to lock the arms at top of the movement. You need to squeeze the chest before you can bring the barbell down. You need to slowly repeat this movement for 6-8 times as you start working out. The final part is to place this barbell on the rack. This is an easy exercise, quite suitable for beginners. 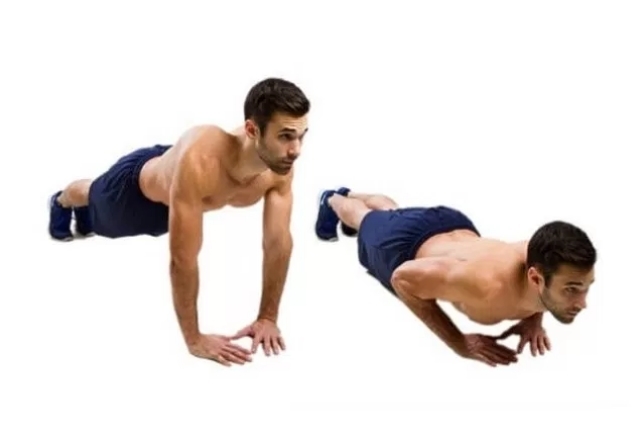 Start in a plank position on the floor. Your hands shall be under the shoulders. Place a towel just under your feet. Your legs shall be straight as you slowly raise your hips and move your legs towards the hand, just into a pike like position. You need to see that your feet are able to slide smoothly. You need to stay in this position for one count. Get back to the start position. You need to repeat this exercise at least 10 times. This is easy to perform and learn exercise. This is often recommended for those days when you do not have enough energy to do stronger moods. This exercise helps in working out some of the most neglected muscles of the lower back. Lower back is the area where most people experience the most pain. The main reason is that the muscles get stiff and lack flexibility. These core conditioning exercises help in working out these tough muscles and help in building their flexibility. Start by lying down on your stomach and on the ground. Keep your arms extended just overhead. Your legs shall be straight. You need to slowly raise your legs and arms as much as you can in this position. Hold on to this position for at least 10 seconds. Your arms and core muscles should be straight at this point. You will again lower slowly and repeat. You need to repeat at least 20 times. Do 2-3 sets. 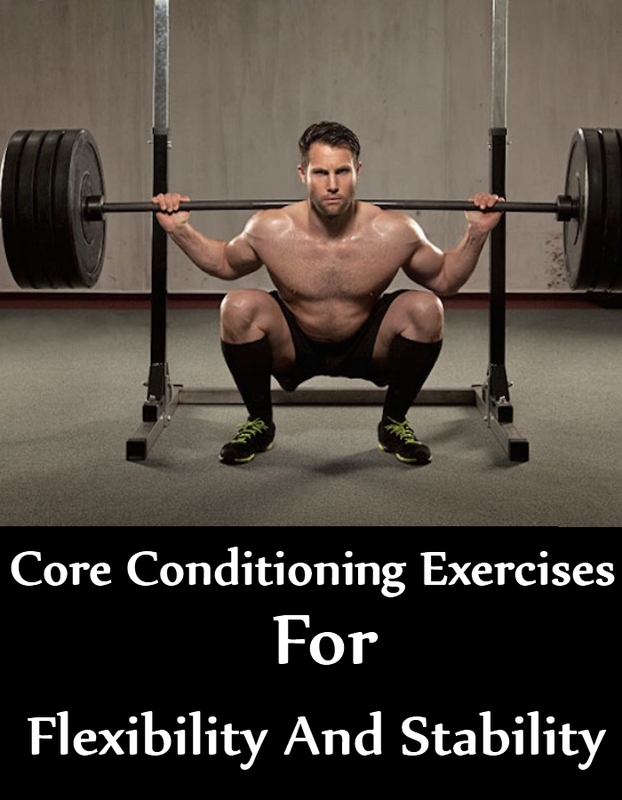 This core conditioning workout has several benefits. It will not just work out your core muscles but will also help in losing that extra flab from your sides and abdomen. Start the exercise with your left hand and knee on the floor. Your right up shall be straight up. You need to extend your right leg. Thus, when you do this, your body shall make a completely straight line. Now, you need to pull the right knee close to your torso. Your right elbow shall be moved towards the knees. You need to straighten your arm and your leg at this point. You need to repeat this exercise at least 10 times. You can switch sides and repeat. This is an effective workout for all the core muscles. This workout helps in strengthening the back muscles and other core muscles. You are able to build flexibility in the entire core and condition the muscles, which prevents the occurrence of injuries. You need to start by lying down on your back. You can keep your legs flat. You need to slowly slide your hands just under your rear for lower back region support. You need to slowly move your legs from the ground, at least 12 inches. You need to bring back your legs to the start position at this point. If you find this movement difficult, you can start working out with one leg at a time. You need to do at least 10-20 such repetitions.